The PlayStation Vita has been an amazing platform for indie games. While the handheld hasn’t seen many worthwhile exclusives as of late, it’s still the only way to play plenty of indie darlings. 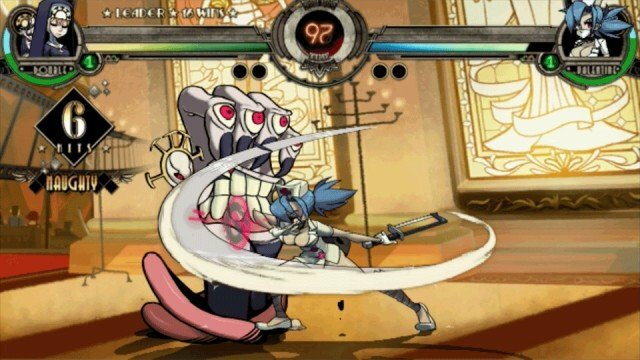 The latest high profile release to get a Vita port is Lab Zero Games’ beloved fighting title Skullgirls 2nd Encore. The good news is that Lab Zero Games hasn’t delivered a stripped down version for the Vita. Instead, players are getting a completely feature filled outing that is identical to its PlayStation 4 counterpart in terms of content. There’s a few small issues that keep it from being the best version, but all in all it’s a totally adequate way to have Skullgirls in your pocket. 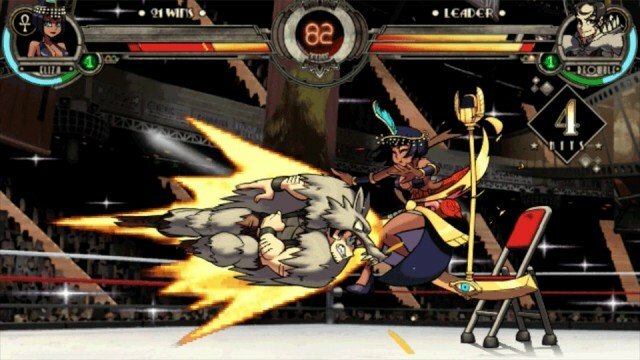 Since it’s cross-buy with the PlayStation 4 version, there’s really no better time to jump into Skullgirls‘ zany action. The beautifully animated fighter now features 14 characters (which is 6 more than when it launched in 2012), and the original’s most egregious omission, an in-game command list, has also been added. All in all, Skullgirls has seen a lot of improvements over the years, and this Vita version includes every single one of them. While the gameplay in general is a pretty standard 6-button fighting game (think Street Fighter), it has a very unique setup. Before a battle starts, you can choose to play as one character or up to a team of three combatants. If you only choose one, you’ll get a super powerful version of the fighter. This adds a lot of depth and strategy to the fighting, and it’s all done before the round even begins. Each of the 14 fighters play differently, but since they all use the basic 6-button format, gamers shouldn’t feel too intimidated right off the bat. Thankfully, there’s also individual character tutorials that have been added, so even rookies can get into the fun. Lab Zero Games has done an amazing job of taking a title that was initially frustratingly difficult to get into, and turning it into one of the most accessible fighting games to date. Sadly, there is one issue with the Vita port and it’s that the graphics look blurry compared to the crystal clear console versions. This is especially noticeable in menus, and in the in-game tutorials that are filled with text. The user interface needed to be redesigned for the Vita’s smaller screen, but that just didn’t happen here. Instead it looks rough, and gives a pretty bad first impression. This isn’t a huge detriment to the game, but it’s still disappointing to see. It makes viewing the command list more difficult as the small icons that indicate what moves to do are too blurry to easily make out at a glance. Experienced players won’t have an issue, since they already know the combos, but it makes the Vita version harder to recommend for beginner play. Thankfully, the actual fighting still looks gorgeous. It’s definitely of a lower quality when directly compared to the PS4, but it’s still a joy to watch unfold. One nice thing about Skillgirls 2nd Encore is that there’s a nice mixture of single player modes here to keep you busy. This is especially important on a handheld version, as you won’t always have access to internet when playing. Each of the 14 characters have their own Story mode to go through, and while they’re relatively short, considering how difficult the final boss fight is, players will likely spend several hours trying to beat them. There’s also a traditional arcade mode, free play, and a survival mode to test your skill. Since Skullgirls 2nd Encore supports cross-play, Vita owners will be able to take on opponents on the console versions of the game online. Yes, they can even square off against PlayStation 3 players. This is a great, and key, addition since the online base isn’t super active. There were times when I couldn’t find a match for over 10 minutes, but there were also moments when I connected after about 5 seconds of searching. Your mileage might vary online, so just know it might be best to dive in with a friend instead of looking for random foes to vanquish. 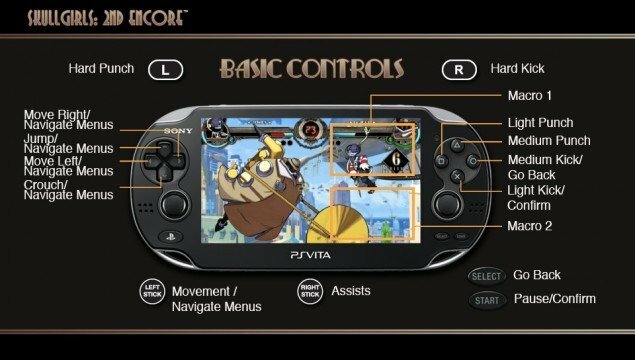 Skullgirls 2nd Encore has made its way to the PlayStation Vita largely in tact. There are some disappointing issues with the port graphically, especially with the text as it hurts the experience for newer players, but otherwise it’s nearly perfect. It’s also the only way to play Skullgirls on the go, and those that pick it up won’t feel like they’re getting a stripped down experience. This review is based on the PlayStation Vita version, which we were provided with.